Give me all the ChapStick! I am obsessed with keeping my lips moisturized. While I have been known to use anything to keep my lips rubbing together smooth, I prefer ChapStick! There is just something refreshing about gliding the tube of moisture along your lips at any point in the day. When it comes to weather induced needs for moisture, I know a bit about that too. Back home in Kansas I had to fight the winds and cold over the holiday season but here in Florida, I'm still fighting the heat! 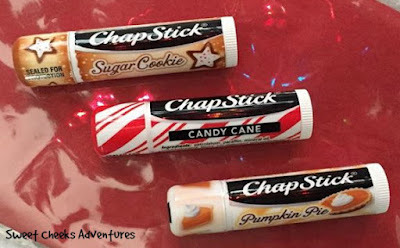 I am so happy to see Chap Stick has returned this year with the Candy Cane flavor! Last year I stocked up at the end of the year with this flavor and I ran out in August. I was so excited to see it in stores again! This flavor is just like a candy cane. A bit of peppermint, a bit of sweet, all goodness. While humans have been using Chap Stick for so many years, it seems every now and again they bring out a new flavor. 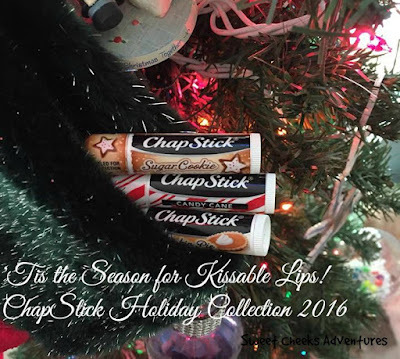 This year you can find ChapStick Sugar Cookie! It is a delightful indulgence that will sweeten up your lips with every application of the cheerful flavor. Cheerful flavor is exactly how I feel about this flavor. It is very cheerful and reminds me of when I was little, in the kitchen baking cookies with Mom! I did a little video for you. While I seem so excited in the video, know that it is true excitement. The love that I have for soft and moisturized lips came through completely! You can find ChapStick at any of your local retailers. There are cute Holiday Tins available at Walmart, Walgreens and Kroger stores. 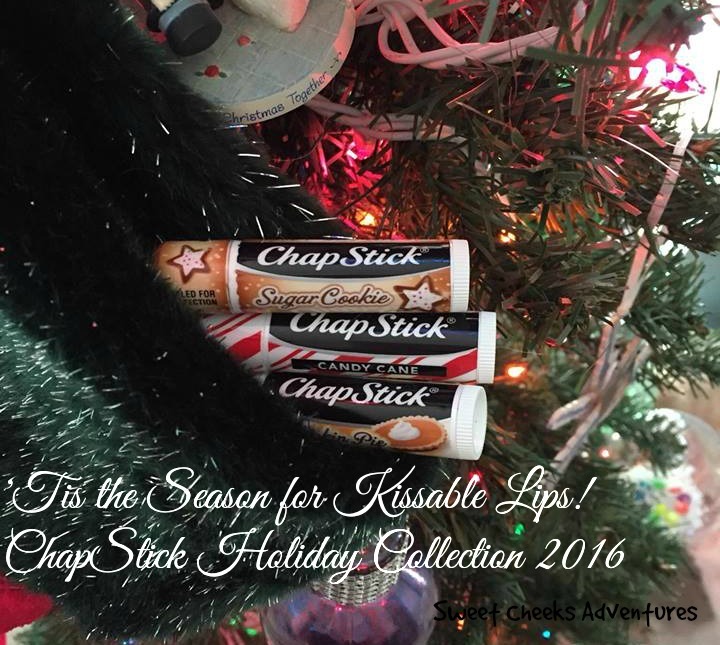 They make a perfect stocking stuffer!